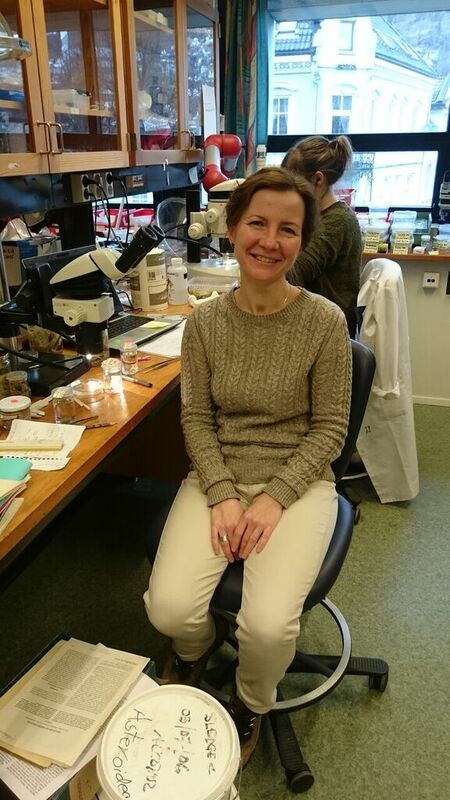 For the past month Marta Gil, a PhD student from the University of Vigo, has been with us for her second stay at the University Museum of Bergen. 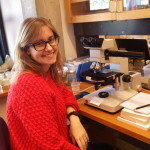 Marta has continued with the study of West African hydroid fauna from the MIWA-project, which was begun when she first visited here together with her supervisor, Professor Francesco Ramil Blanco (Fran) in July 2015. Marta has worked with samples collected during several Dr. Fridtjof Nansen surveys. 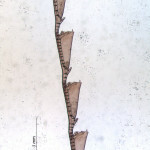 Most of the samples were collected with an epibentic sledge, a sampling device more efficient for small colonies of hydroids. 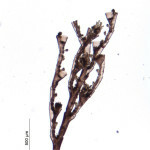 This study provide complementary data to those obtained during the study of hydroid fauna collected with the bottom trawl by the Norwegian and Spanish African surveys, and has allowed her to obtain some little know or even undescribed species. Their findings are also interesting in terms of biogeography: Moroccon and Mauritanian hydroids show a strong affinity with Atlantic-Mediterranean fauna, whereas those from Guinea Bissau and Guinea Conakry waters show more similarities with tropical fauna. 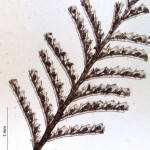 This means that for hydroids, the boundary between the temperate Lusitanian and the warm tropical fauna is located somewhere along the Senegalese or Guinea Bissauan coast. We hope that the complete analysis of data will enhance our knowledge on the marine fauna of this fascinating region. This entry was posted in BOLD, Guests, MIWA and tagged guest researchers, Hydrozoa, vigo on March 18, 2016 by katrine. I am a specialist in asteroids from the P.P. Shirshov Institute of Oceanology, Russian Academy of Sciences. 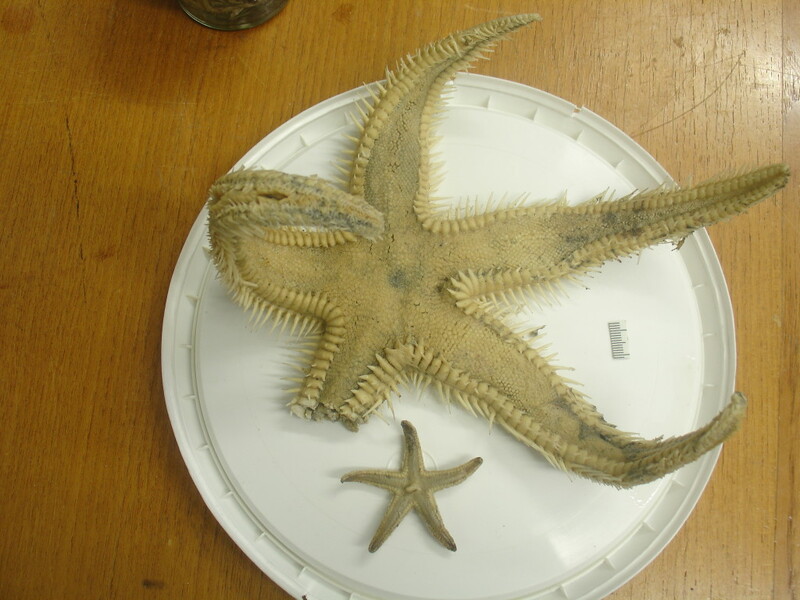 Although I mostly work on the deep-sea star fishes from the northern regions, I was very interested in examination of the shallow water fauna off the Western Africa. I have examined more than 150 specimens of sea stars during a two-week stay. As a result, I have identified about 22 species belonging to 13 genera. The most diverse and abundant genus it this collection was Astropecten that included very different species, from small to enormous ones. 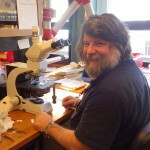 I had a very successful work in Bergen, which was very interesting and useful for me as a taxonomist! Thank you for the visit and the blog post, Anna! The next step for us will be to try to do some DNA barcoding on the material she has identified. 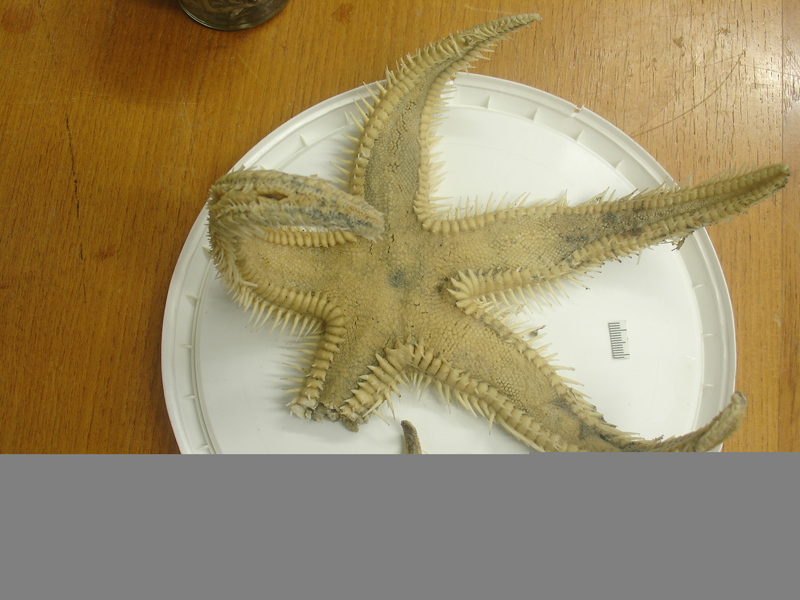 This entry was posted in Echinodermata, Guests, MIWA, species identification on March 8, 2016 by katrine.